Is it time to Outlaw Alexa? Whatever Happened to Export Controls? Back in 2015 I wrote an article (reproduced below) about why it was a good idea for Israel to buy the F-15 SE (for Silent Eagle). At the time, Boeing was pushing the idea of a stealthed up version of the highly effective F-15. The F-15 is a heavy and large aircraft compared to the F-16 and the newer F-35. It can fly farther, carry a bigger load and despite its size it is a good dog fighting aircraft. As everyone knows by now, the Achilles heal of the somewhat stealthy F-35 (it has pretty good stealth frontally, but from the sides and rear it is easier to spot on conventional radar) is it can’t dogfight. Looking at the F-35 is a little like looking at the hull of the famous Spruce Goose –it is sort of boat shaped, intentionally to improve its radar signature. But the trade off of the design is that it doesn’t make sharp turns and can be out flown by maneuverable Sukhoi’s and Mig’s. As war planners see it, current-day stealth aircraft are capable of penetrating enemy air defenses and shooting down enemy warplanes using so-called beyond visual range (BVR) missiles. The Russians, who do not have stealth capabilities comparable to the United States think the answer for them is to find ways to defeat stealth. They are doing this in two ways: means to detect stealth aircraft by combining different types of search and tracking radars and triangulating radios and BVR missiles, both air to air and ground to air (in the form of the 40N6 launched by the S-400 and future S-500 air defense system) which have a greater performance envelope than US BVR air to air missiles. China has take a different approach from the Russians. On the one hand China is building stealth fighters, bombers and drones. But are they any good? Serious questions have arisen about whether China has really mastered stealth, even though the planes sort of look like they are stealthy (such as the J-20). Like Russia, China often boasts and even fields weapons that are far from combat ready. While this is to show that the Emperor really does have technological clothes, as they fly around their pride and joys observers get a chance to measure their performance and capability. Right now, China looks like it cannot yet compete with American warplanes. That is why China also ordered from Russia the S-400 air defense system and probably hopes to clone it as well. The S-400 can launch four different types of missile, but the best one is thought to be the 40N6 long range high altitude missile that allegedly can find and destroy enemy stealth planes, such as the F-22 or F-35. But Russia, that was supposed to deliver the missiles, did not yet do so, claiming the ones they sent were damaged in a storm at sea and will need to all be replaced (a task that could take four years or more). So the S-400 is not there to deter the United States, at least not yet. But even without Russia or China, or stealth or no stealth, an advanced F-15 airplane makes sense. It is far cheaper (even with all the possible improvements) than the F-35. It is combat proven. The logistical support system is in place. And pilots know how to fly the planes in combat. These are irreplaceable assets. The Air Force has now made its first order for F-15X’s, an improved version of the classic aircraft, with a new cockpit, new radar and other enhancements. The “X” is not stealthy, and right now it would not make economic sense to create a new body for the F-15. A better investment for the US Air Force (and Navy, Marines) is a better BVR missile that can out fly the Russians and Chinese ones. 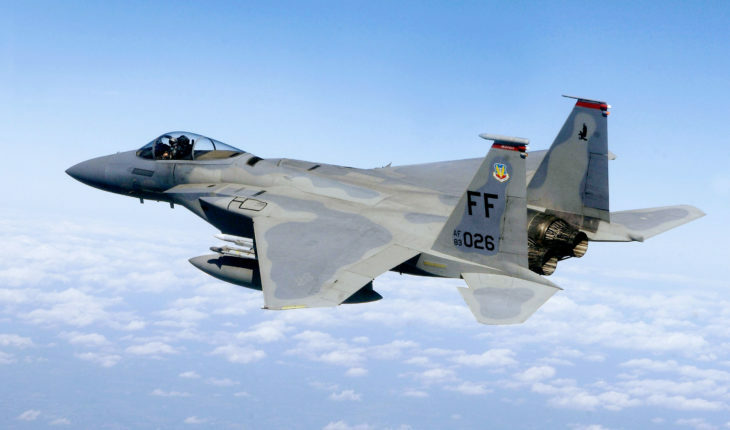 According to news reports, Israel wants the F-15 Silent Eagle. The F-15 Silent Eagle is a stealthy evolution of the F-15 Strike Eagle, which forms the backbone of Israel’s Air Force. Some analysts are surprised Israel would request the Silent Eagle. But there are good reasons for it: in fact, the reasons are so good that if our Air Force had common sense it would reduce the size of the F-35 Joint Strike Fighter buy and get the Silent Eagles for our Air Force too. There is, of course, both a sort of respect and competition that characterizes relations between the US Air Force and Israel’s Air Force. And there are differences in mission: Israel is a regional power, not a superpower. It mostly fights in its own neighborhood; although the Iranian challenge means Israel needs more long range aircraft that can carry a significant load of air to ground weapons. The F-35 is not that airplane. The F-35 is one of the most controversial and expensive aircraft ever built, rivaled only by the even more costly but canceled F-22. But the F-22’s are aging and soon need to be upgraded; the F-35’s are stumbling forward, but the program has stimulated massive criticism from aviation experts who fault its value as a front line fighter. The F-35 program hinges on two highly debatable suppositions. The first supposition is that the F-35 can be the main fighter aircraft in the US inventory even though its capability to perform multirole tasks is far from certain. The US Air Force has bet the farm on the F-35; in the end it means a smaller air force and one with far less flexibility than the air force now has. The second supposition is that it’s beyond visual range capability is the essential trump card that makes the F-35 superior to the competition. BVR capability is important, but BVR is not a technology solely under US control –our main competitor, Russia, has BVR and is getting better and better at enhancing all its onboard electronic capabilities. The idea behind BVR was born out of the famous air battle in June 1982 over the Bekaa Valley, where Israel, using mainly US aircraft (plus its home-grown Kfir) decimated the Syrian Air Force. The reason for the success was that the US F-15’s that were used in that battle had look-down shoot-down radars, a technology the Russians would not have for another ten years. This meant that high-flying Israeli fighters could pick out Syrian MiGs and Sukhoi’s and hit them before they saw the Israeli planes. But, while look-down shoot-down was really important, it is only a part of the story. The Israelis also had command and control and radar planes in the area giving them excellent coverage -they saw the Syrian planes from the moment they lifted off from their bases. And, even more importantly, Israel using brilliant home-grown tactics, were able to shut down and destroy most of Syria’s ground-based air defense missile systems. The elimination of Syria’s SAMs (surface to air missiles) meant that the Syrian Air Force was left on its own. Consequently, 86 Syrian fighter planes, including the Mach-3 MiG 25, were shot down. Israel lost no planes in air to air combat; it had four combat losses to ground fire. Thus, the translation of what happened in 1982 to 2015 is not so simple. In 1982, the US had superior technology. In 2015, the US has excellent technology, but potential adversaries are gaining ground. Russia, for example, now has stealth in its forthcoming PAK FA-T50 (made by Sukhoi, an important evolution of the Su-35 4th++ generation fighter). It has Active Electronic Scanned Array radar (just like the F-35 and F-15 SE); it has infrared tracking capability; it has BVR weapons; and most of the other features of the F-35. But, unlike the F-35, the Su-35 and T-50 are excellent maneuverable fighter planes. For whatever reason, once the F-35 exhausts its air defense missiles, it is a sitting duck unless it can run away in a hurry. Here the Su-35 and T-50 are exceptional because they have supercruise capability that the F-35 lacks. Supercruise is the ability to operate supersonically without using engine afterburners. This means far greater range (because afterburners are fuel hogs), and it means weapons launched under supercruise have greater range too. Can the F-35 escape against a supercruising F-35 or T-50? Most experts think the F-35 cannot. This brings us back to the reasons why the Israelis are seeking the F-15SE. They need a fighter-bomber that can fight. They understand that if the Russian relationship with Iran continues, that the Iranians will want top of the line aircraft and will pressure the Russians to give them. Iran is already getting the best air defense missiles the Russians have (violating current arms agreements set by the United Nations). It won’t be long before the Russians agree to sell modern fighters to Iran, and Israel must plan on that relatively near-term eventuality. For Israel, there are other considerable gains in buying the F-15SE. It is an evolution of an aircraft already in inventory, which means all the logistics and support systems are already in place. Pilots are already well trained on the platform and have experience in combat, meaning that the capabilities of the plane are well known. And the F-15SE costs less than half of what the F-35 costs, meaning that Israel can get much more punch for the buck than the F-35 offers. Indeed, the F-35’s main contribution to air forces around the world is that it is so unaffordable it will shrink every air force that buys it. This must cause delight in Moscow as well as Beijing. But even more concerning is why the US Air Force isn’t mitigating the risk of the F-35 by buying an equal number of F-15 Silent Eagles? It does not take a supercomputer or even an abacus to understand that putting the entire US Air Force at risk with only one fighter plane in the inventory is a danger to national security. If the platform fails to perform, America will not only risk its credibility, but our allies who are buying the F-35 are going to be left in the lurch. Indeed, there are even more risks. The US cannot afford to keep its older planes flying once the F-35’s enter the inventory. The F-15’s and F-16’s are unlikely to be further modernized or even properly maintained. Even worse, the soaring cost of the F-35 and the difficulty of maintaining it in any power projection scenario (and the huge support costs) means that even fewer will be purchased and even less will be available in the field when needed. This is not a scenario that should be welcomed, and it is likely the Israelis understand the problem all too well. The F-35 was pushed at them; they did not jump up and down wanting it. Now, for all practical purposes, they really want to hedge their bets or get out from under the f-35 albatross. So what should we expect? Any suggestion the US Air Force should buy the Silent Eagle will be met by extreme hostility for sure. In fact, it is likely the Pentagon will try and block Israel’s request, or try and unload some more F-35’s to shut the Israelis up. That’s the reality of power-Pentagon politics these days. What the Silent Eagle needs is some Congressional champions to head off the usual bone-headed Pentagon argument to spend more, get less, and risk our security. Dr. Stephen Bryen is the author of the new book, "Technology Security and National Power: Winners and Losers" (Transaction Publishers). Dr. Stephen Bryen has 40 years of leadership in government and industry. He has served as a senior staff director of the U.S. Senate Foreign Relations Committee, as the Deputy Under Secretary of Defense for Trade Security Policy, as the founder and first director of the Defense Technology Security Administration, as the President of Delta Tech Inc., as the President of Finmeccanica North America, and as a Commissioner of the U.S. China Security Review Commission. Dr. Bryen's expertise and high effectiveness has earned him the highest civilian awards of the U.S. Defense Department on two occasions and established him as a proven government, civic and business leader in Washington D.C. and internationally. Dr. Bryen is regarded as a thought leader on technology security policy. In Technology Security and National Power: Winners and Losers Stephen Bryen shows how the United States has squandered its technological leadership through unwise policies. Starting from biblical times, he shows how technology has either increased national power or led to military and political catastrophe. He goes on to show how the US has eroded its technological advantages, endangering its own security. Disclaimer: My expertise is strategy. I focus on policy and how to implement plans and programs and how to manage outcomes. I have had four wonderful careers: in government as a senior official; in industry as a President and CEO; as an entrepreneur in launching new ideas and new businesses; and as an author who regularly publishes in the area of international affairs and cybersecurity. And before all the above happened I was a Professor and pioneer in cybernetics in the social sciences at Lehigh University.